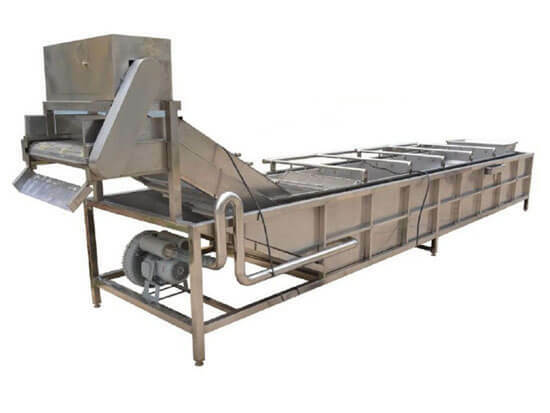 As soon as blanching is completed, food and vegetable are required to cool and rinse swiftly by plunging in water, our food & vegetable rinsing machine which is designed to water-cool and rinse the food and vegetables after blanching, it can cool and rinse the food and vegetable in the room temperature which will not destroy nutrition ingredient of food and vegetables. The food & vegetable water-cooling machine can match with the blanching machine, peeling machine, air drying machine and other equipment to do food and vegetable deep processing. It is mainly used in food and vegetable processing production line. 2. Beautiful appearance, convenient to maintain, save plenty of water. 2. 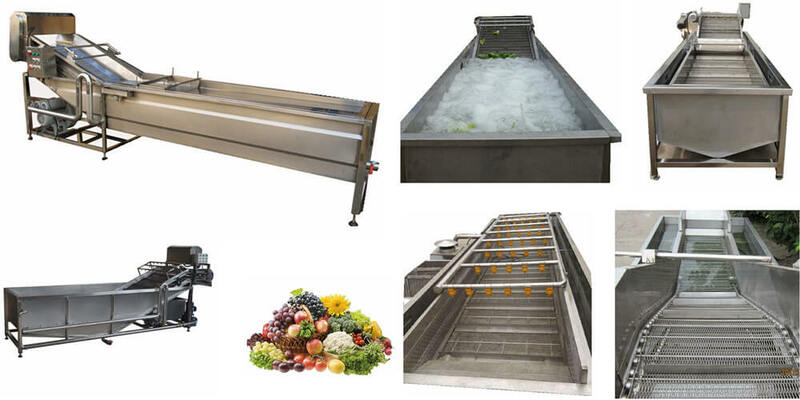 It is necessary equipment for and vegetable cooling and rinsing after blanching, widely used in food processing factory, vegetable processing factory, etc. Please control the rinsing time by your self, it is not right to rinse the food and vegetable for a long time, because the vegetable soaked longer, the loss of nutrients is more, especially the loss of the water-soluble vitamin.